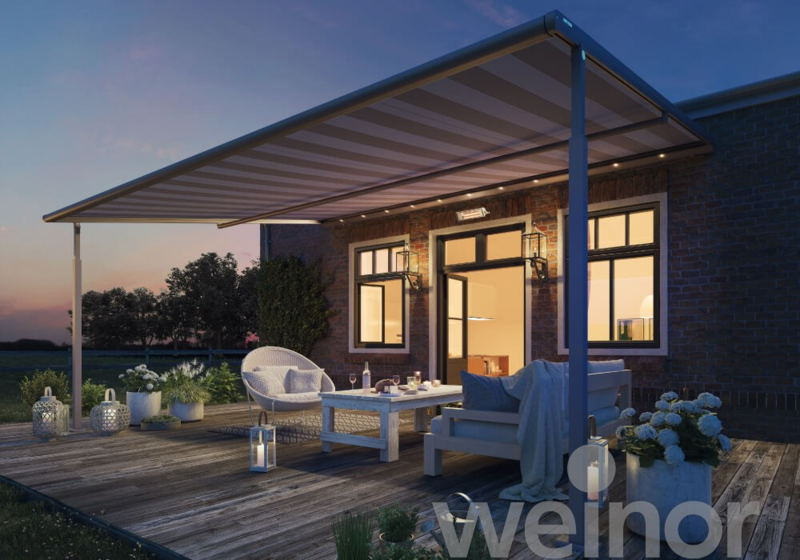 The Plaza Viva is the latest pergola from Weinor, and is designed to be highly usable in almost any weather condition. 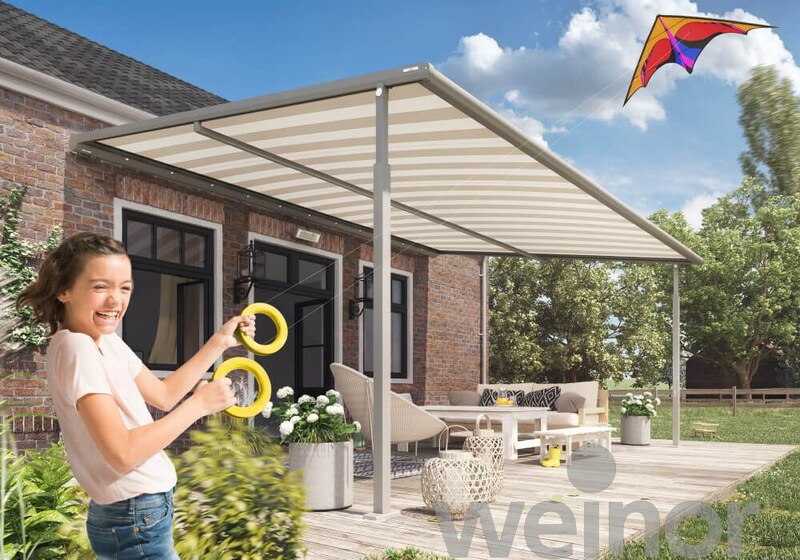 A host of new features make this one of the most adaptable and desirable pergolas ever, all whilst retaining what was so loved about Weinor’s other systems. 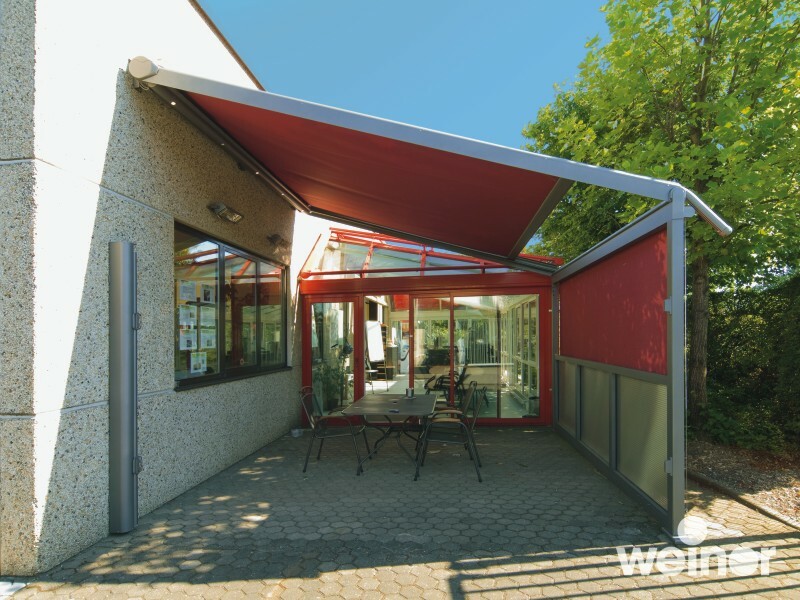 Excellent build quality that ensures a sturdy and reliable system comes via the aluminium posts, and comes in over 200 colours, whilst the fabric is dependable yet good looking, ensuring you will take delight in the system. Perhaps the biggest change to the Plaza Viva, and the one that will make the biggest difference on it’s usability, is the telescopic posts. These posts allow a corner at the front of the system to be easily lowered, providing a subtle pitch of 4°, channelling and draining the water off at the desired corner, rather than it pooling on top (it is not recommended to have both front posts as telescopic posts). 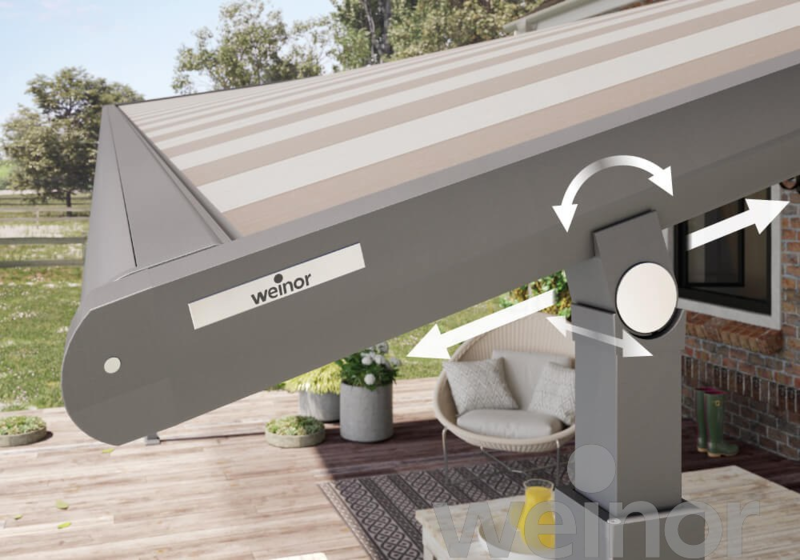 To help dealing with the load on the construction, the system also has a compensation joint to keep the pergola stable. 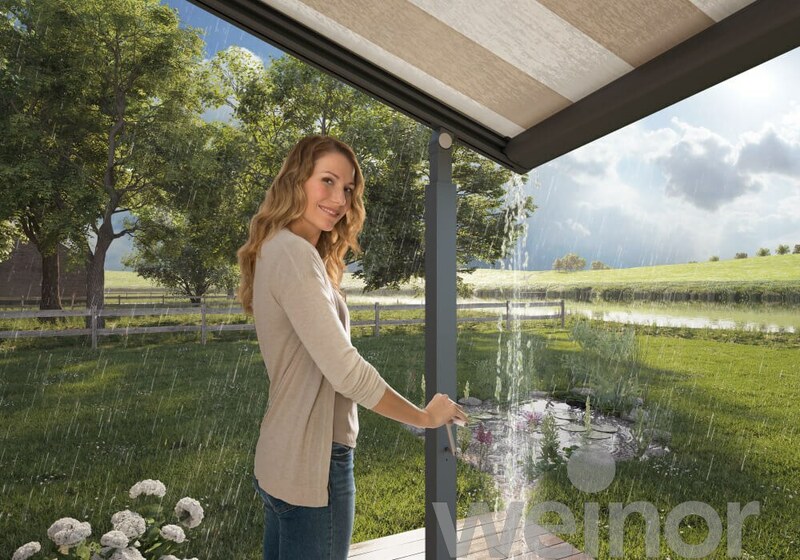 There are, as usual, a wide variety of extras that can be added onto the Plaza Viva, to create the ideal system that suits your needs. 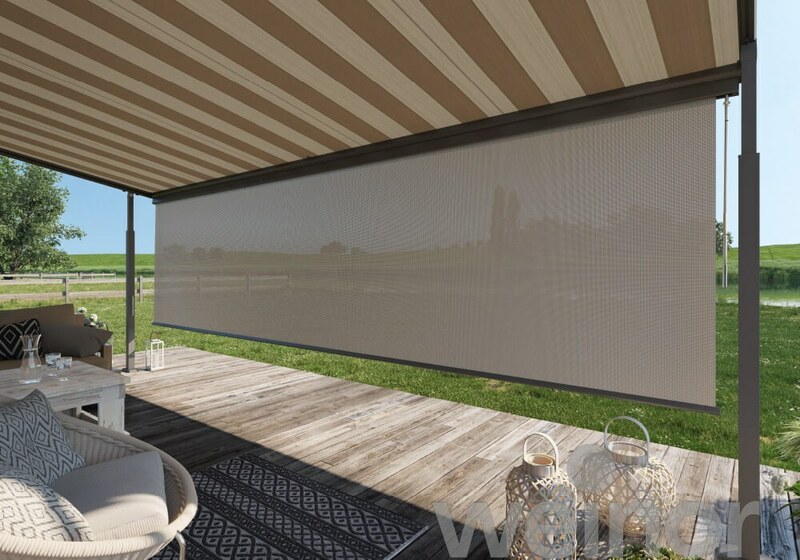 The valance plus system is a great addition that includes creates additional shading, and protects from low lying sun. 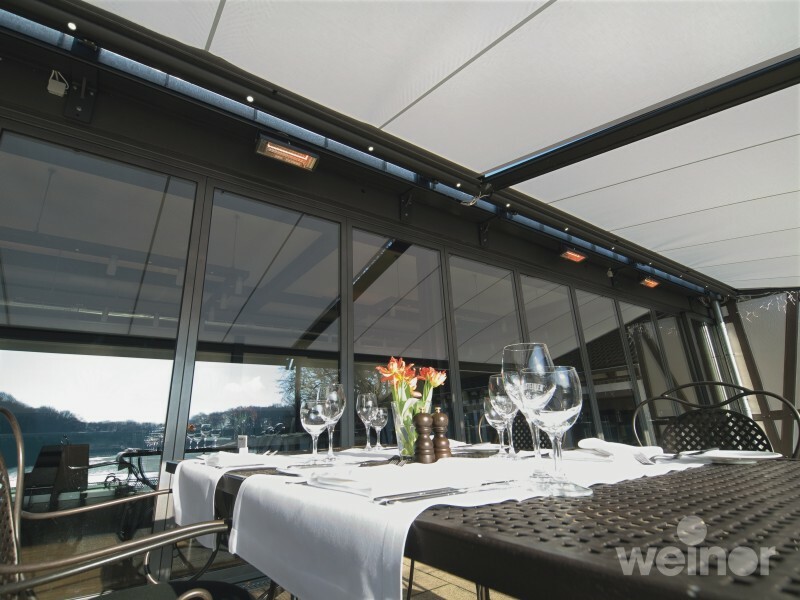 LED lights can be added into the frame of the system, allowing you to use the system later into the night, an effect that is only increased with the addition of infrared heaters, which save up to 30% on energy costs as opposed to standard heating systems.